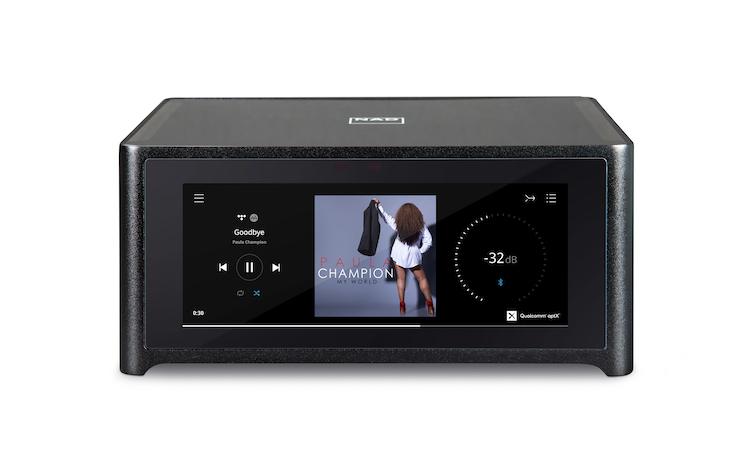 Uitgebreide productinformatie Quantum Edelstein High-end compact - the audiophile shelf speaker A compact housing in combination with a superior acoustic performance - this is an aim that can only be achieved with significant expenditure and an enormous amount of technical expertise. This challenge was the incentive for MagnatÂ´s engineers, who are able to draw on years of experience in the field of speaker development. The result, which combines technological excellence and innovative design, is a real masterpiece - a true gem! Simple, high quality, elegant Even the face of the sound transducer lives up to its Quantum Edelstein name (Â´EdelsteinÂ´ is the German word for gem). You wonÂ´t find any extravagance, decorative elements or embellishments here! Instead, it is thoroughly compelling in terms of its simplicity and elegance, value and nobility. This speaker draws attention to itself in the same way as a polished diamond. The MDF cabinet, which is optionally available in a high-gloss black or white finish, features a solid aluminium front panel with machined and burnished sound guide for the bass-midrange driver and tweeter. The double base plate has also been manufactured from solid aluminium and polished acrylic glass. The high quality fabric grille is attached magnetically and ensures optimum sound transmission. The combination of perfectly coordinated components Only perfectly coordinated components can achieve the required objective in such a complex and elaborate design. Therefore, the 2-way bass reflex system has been fitted exclusively with the highest quality components, which include the selected chassis (110 mm bass-midrange driver, 25 mm dome tweeter), the high quality internal wiring with its large cross-sections and the airflex port with its particularly large opening and special coating to eliminate flow noise. Only the specific combination of these selected components ensures an ideal interaction that produces an audiophile acoustic performance. 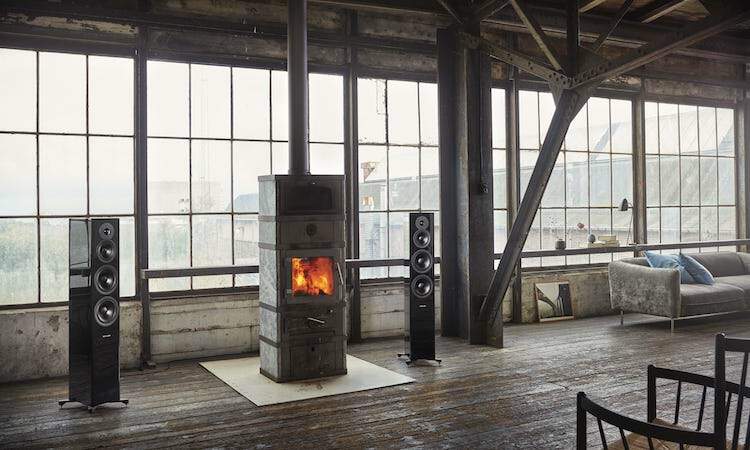 High-end through high-tech One of the biggest challenges in speaker construction, especially where a compact housing is concerned, is the deep bass range. To compensate for the low housing volume, only innovative and high-performance speaker chassis have been used in the Quantum Edelstein. The bass-midrange driver consists of an aluminium/ceramic sandwich cone with an inverted dust cap, which offers optimum rigidity and maximum power handling capacity. A flow-optimised, non-magnetic die-cast aluminium basket was developed to counteract the large excursions that occur. This prevents compression effects and air turbulence. The particularly powerful magnet system also ensures minimal distortion with a high degree of efficiency. A Kapton voice coil is responsible for a clean midrange and an even higher efficiency rating. A neodymium magnet system, which offers an optimum balance between performance and size, is utilised for driving the silk dome tweeter. The particularly broad surround is used in combination with the special sound guide in the aluminium front panel to ensure optimum dispersion properties. We gaan een van onze lezers weer dolblij maken, want we mogen in samenwerking met Magnat bij de nieuwste prijsvraag een wel hele gave prijs weggeven! 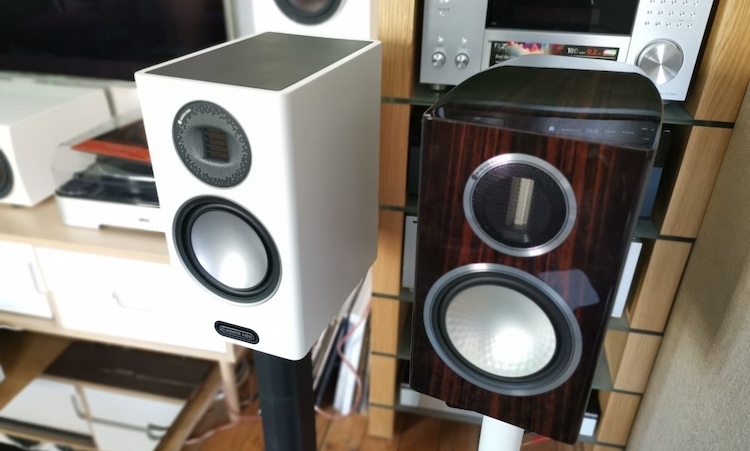 Je maakt namelijk kans op een set Magnat Quantum Edelstein speakers. De Duitse fabrikant Magnat heeft een nieuwe speaker geïntroduceerd: de Quantum Edelstein. Opgetrokken uit aluminium en glas, waardoor de nieuwe weergever "geen juweel is die je om je pols kunt dragen of die thuishoort in een kluis, maar één die gezien mag worden."